Valentine's Day is just around the corner, so in preparation for the influx of kid-sized cards, why not make a love boat mailbox with your kids. I remember and cherish the memories that I have of making a Valentine's Day mailbox each year, and even made the winning mailbox design one year for our classroom's Valentine's Day contest. 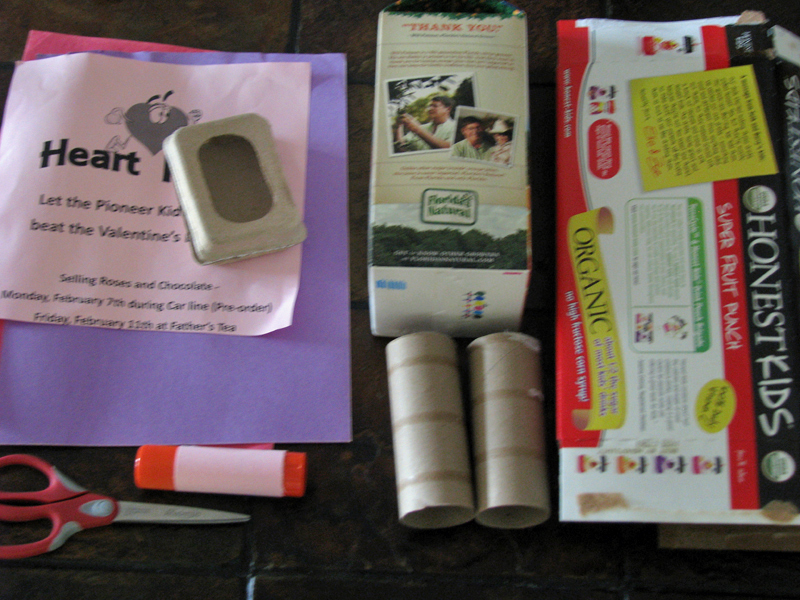 Making a Valentine's Day love boat from items found in your recycling bin is so easy, you and your little one can make it in just one afternoon. 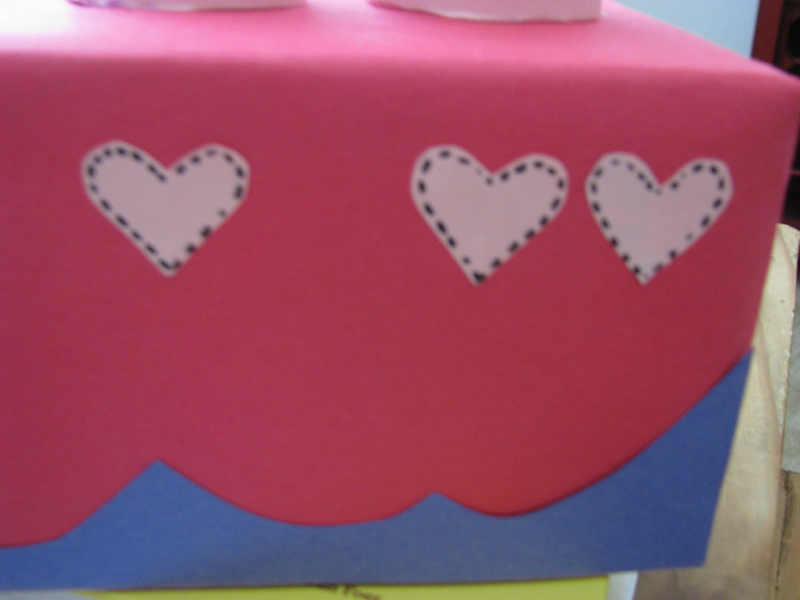 Read on for five easy steps to making a love boat with your pint-sized Valentine. 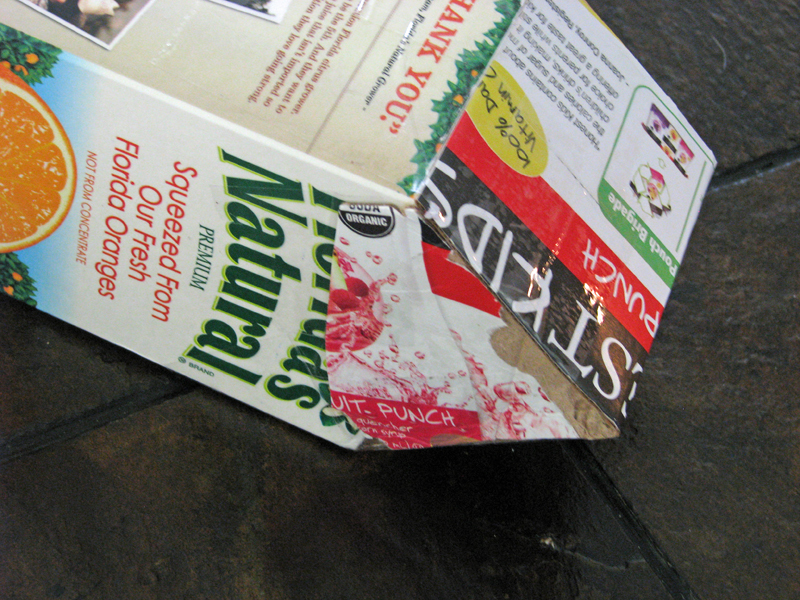 <h2><strong>Step 1: Create the Boat</strong></h2> To create the boat, cut the top off of the juice container, then rinse and dry the container. 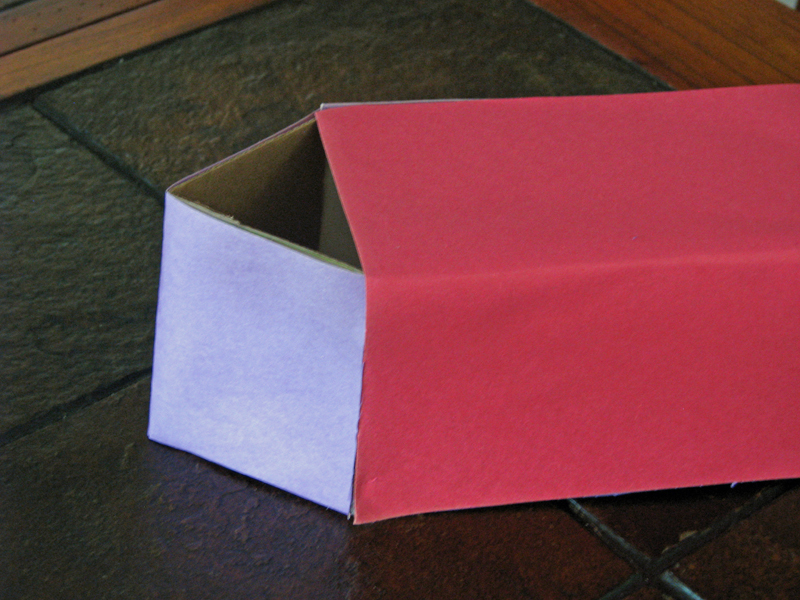 Using pieces of cardboard from the recycling bin, create a peak at the front of the boat, leaving the top part open -- this will be the Valentine mailbox opening. <h2><strong>Step 2: Dress up the Boat</strong></h2> Using leftover craft paper scraps or colorful paper from the recycling bin, cover the "boat" with paper, securing with glue. We used fliers that were sent home from my son's school and construction pieces that were leftover from another project. 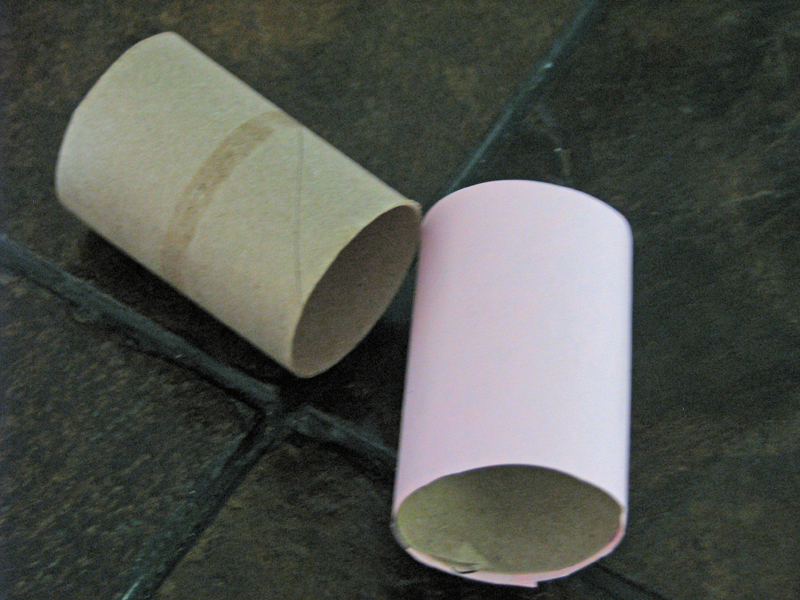 <h2><strong>Step 3: Create the Smokestacks</strong></h2> Cut the top 1/3 of both of the toilet paper rolls off, then cover them in colorful recycling bin paper. We added a curling ribbon embellishment that was leftover from a birthday present around the top of the smokestacks. Attach the smokestacks to the top of the boat with glue. <h2><strong>Step 4: Decorate your Boat</strong></h2> Use any found objects you like to adorn the outside of your boat. Your children will love to do this decorating -- the more colorful and fun the better! Think buttons, bottle tops, stickers, ribbon, and more. 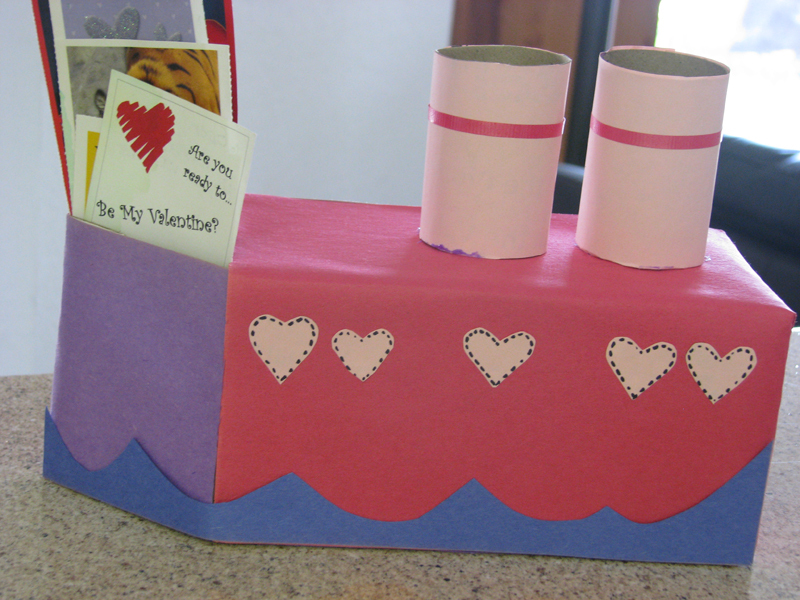 <h2><strong>Step 5: Fill up the Boat</strong></h2> Take the Love Boat to school and watch it fill up with valentine's and other love day goodies and maybe your little one will win this year's Valentine's Day mailbox contest.